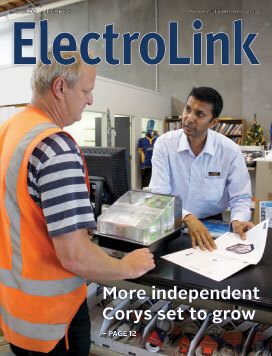 After 91 years in the electrical industry, Corys is now looking more like the youngest electrical wholesaler in the industry as the new year begins. Far from looking back over recent turbulent years, the management team at Corys is now looking forward to its first birthday in May under the ownership of Fletcher Building and celebrating the independence Fletcher has given Corys and a newfound freedom to succeed. General manager of the new Corys operation, Steve Priest, says he couldn’t have asked for anything more. New certification delivery – Is there a role for industry organisations? Ever since 1992 when the permit system was dumped and self-certification came into being, many electricians have looked back to those days and lamented the loss of the local power board inspector and the free advice he gave. Many have argued in favour of going back to the way safety was assured under the old regime with every job having to be permitted at the outset, and getting rid of the current post-installation, self-certification system. The opportunity to do this arose last year with the review from the ground up of the certification regime and the fees associated with it. But, in the absence of any call from the industry to go back to the old system or to any effective alternative to the current way of assuring the safety of work, Energy Safety has been directed by the Minister of Energy to advance the current self-certification regime and to extend compliance requirements in several significant areas. 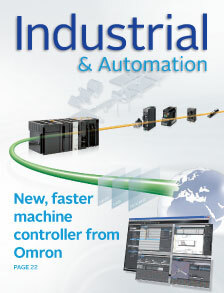 If you want the power and speed of an industrial PC for controlling a machine, but you also need the robustness and reliability of a PLC, then help is at hand, thanks to a new class of machine automation controller that combines the advantages of both. Electricians and electrical inspectors engaged to wire or inspect spray booths for electrical compliance are being advised to tread carefully to avoid the burden of liability for the safe operation of the booth. Imported flat-pack spray booths from Asia cost significantly less than New Zealand and Australian-built booths but they are a potential compliance minefield because they are unlikely to meet an appropriate New Zealand standard or comply with regulations despite importers’ claims to the contrary. 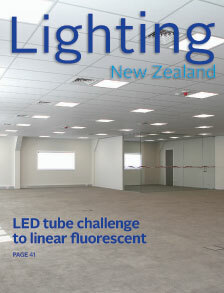 Many LED lighting manufacturers continue to invest the lion’s share of their R&D into developing luminaires for commercial applications and with growing success, but there is one area where LED has made little inroad and that is competing with linear fluorescent when it comes time to relamp or upgrade fittings. The rollout of new downlights is now well underway. Fittings compliant with the new recessed lighting standard are now available from suppliers and are already bringing higher levels of safety to New Zealand homes.